I just read this article and thought you might want to give it a read, too. 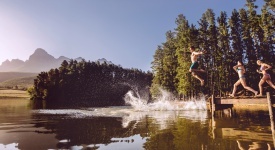 It\'s called 10 Midwest summer vacation pilgrimages you need to make this year and you can find it here https://www.orbitz.com/blog/2018/06/10-midwest-summer-vacation-pilgrimages-you-need-to-make-this-year/. Craving an amazing summer getaway? Whether you call this friendly and enchanting part of the country home, or are looking for an out of the box escape, don’t overlook the Midwest! Here are our top 10 picks for summer vacation ideas in the Heartland (and yes, there are beaches). Located on a thin strip of land dangling into Lake Michigan, Door County is a perennial Midwest favorite. The peninsula’s unique position gives visitors access to a calm bay side and stunning cliffs on the rougher lake side. Door County’s natural beauty, coupled with the rural charms of wineries, small dairy farms and traditional Wisconsin Friday-night fish fries, make it irresistible. Summer is high season, but from late May into early June, Door County is blanketed in fields of cherry blossoms. STAY With a collection of 38 condo-style accommodations, there’s much to love about Westwood Shores Waterfront Resort, including both an indoor and outdoor pool, private beach and close proximity to Potawatomi State Park. 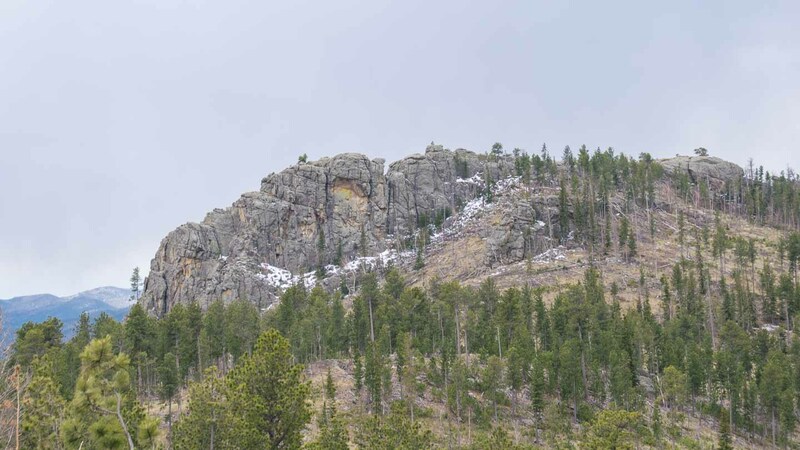 There’s a lot more tucked into the Black Hills of South Dakota than just Mount Rushmore. A road trip around this part of the Midwest will reveal some pretty epic stops like Custer State Park, the Needles Highway, and historic towns like Deadwood and Keystone. Just down the road is the otherworldly Badlands National Park. Whether you are riding in for the annual Sturgis Bike Rally or a good ol’ fashioned family road trip, the Black Hills will not disappoint. STAY Sure you’ll hear the clanging of slot machines (gambling is legal in Deadwood), but the Historic Bullock Hotel is the town’s oldest and still looks and feels as Wild West as it did in the late 1800s. 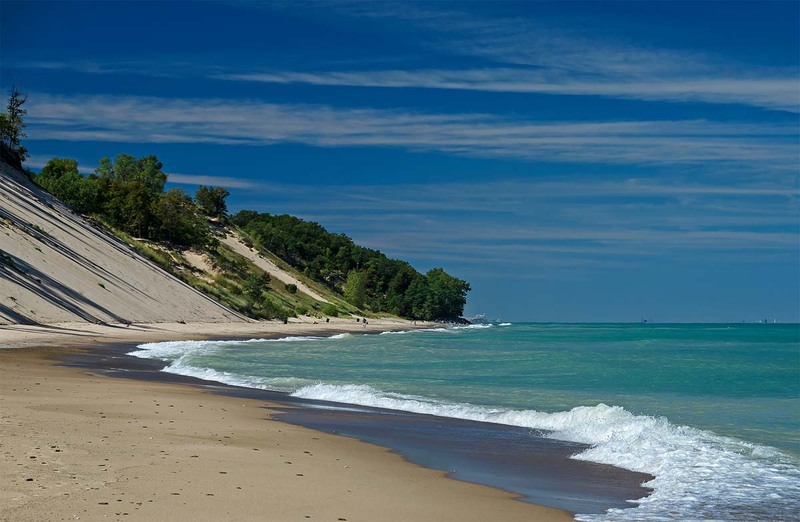 On the Southeastern shores of Lake Michigan lay the sweeping sand dunes of Indiana Dunes National Lakeshore. Here you’ll find some of the Midwest’s most prized beaches. There are lots of hiking trails and amazing nature-inspired experiences. Don’t miss the views; on a clear day you can see the Chicago skyline from the dune-filled shores. STAY The idyllic Songbird Prairie Bed & Breakfast offers five suites in a lovely Federalist mansion, but expect about a 30-minute drive to reach the Dunes. 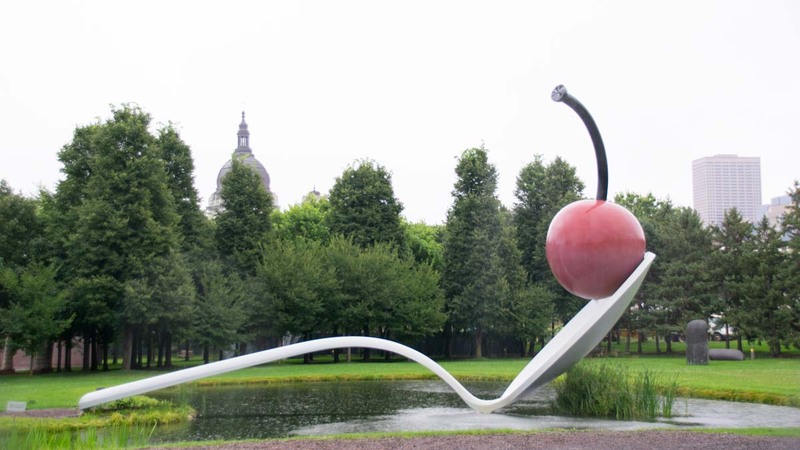 Minnesota’s Twin Cities are the best of both worlds, but not just because you get two cities in one. Here you’ll find the perfect blend of big city and nature, including many parks and lakes that create an almost small town feel. Spend a summer break here and you’re sure to fall for a least one of the city’s unique and vibrant neighborhoods like Northeast or Uptown. STAY It’s hard to beat the art-driven Le Meridien Chambers Minneapolis. Sophisticated and centrally located, it also has a vending machine where you can purchase teensy works of original art! 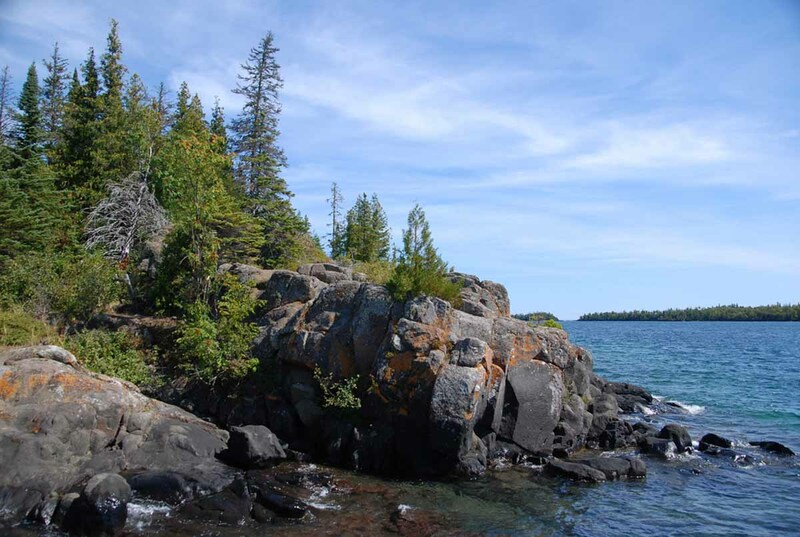 Perfect for anyone looking to get away from it all, it’s hard to get much further from civilization than this island in the middle of Lake Superior. There are no roads: The only way there is by boat, and you’ll probably only see a few people during your visit. 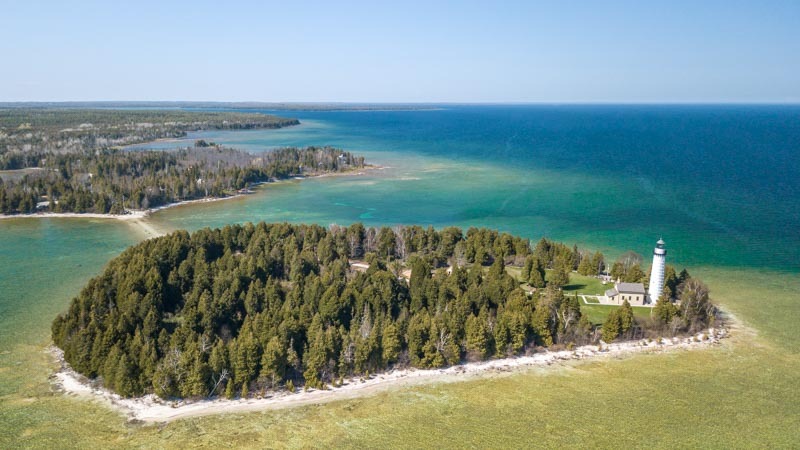 What you will find way out here is a lot of peace and quiet along with great opportunities for hiking, kayaking, boating and even scuba diving. 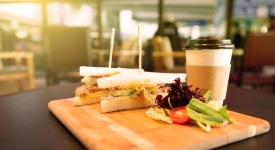 STAY If not camping in the park, a good base of operations is nearby Thunder Bay which is filled with familiar hotel brands like the Victoria Inn Hotel and Days Inn and Suites by Wyndham. This underrated Midwest city is the place to be in the summer. There are major festivals and events happening every weekend, but none bigger than Summerfest, the world’s largest outdoor music festival. Happening annually between late June and early July, Summerfest brings in big-name music acts and around a million people. Round out a trip to Brew City with a visit to a few of the top craft breweries in Milwaukee and check out its budding culinary scene via spots like Odd Duck and Tre Rivali. 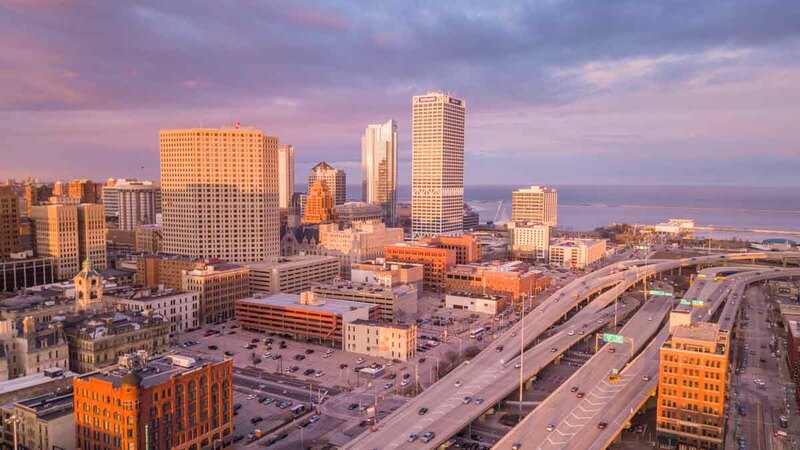 STAY Milwaukee’s coolest digs are surely the Iron Horse Hotel, a lively boutique option featuring buzzy bar Branded and 100 over-sized and loft-like guestrooms. 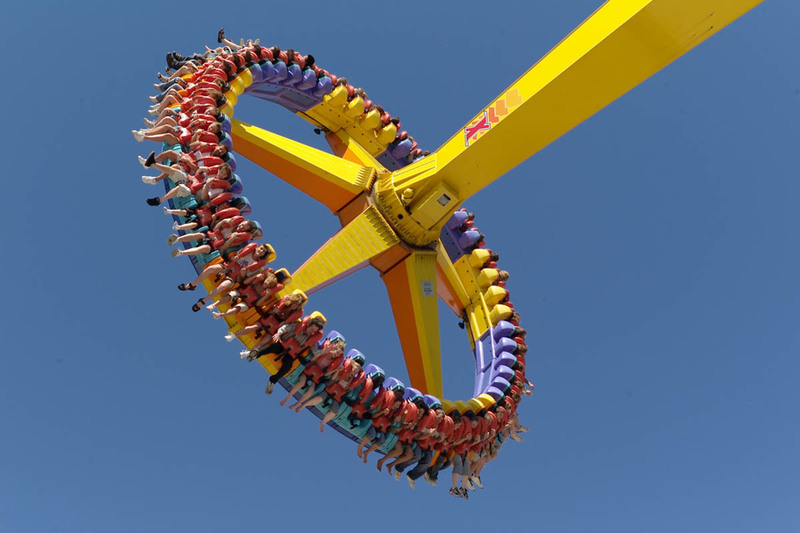 Home to one of the country’s premier amusement parks, Cedar Point is a must visit for adrenaline junkies! This summer’s most anticipated ride, Steel Vengeance, can be found here. This coaster is a hybrid wood and steel design that breaks all the rules by sending passengers upside down more than any other wooden coaster ever has—and features a 200-foot drop! Besides having some of the country’s most thrilling rides, Cedar Point is naturally pretty impressive, too. Surrounded on all sides by Lake Erie this isn’t your normal theme park. STAY The lodging that has it all, Hotel Breakers offers 669 rooms, four restaurants, two pools and is within walking distance to the park. If the Midwest had a capital, it would be Chicago! 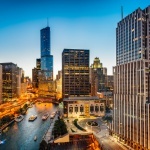 Located in the middle of the middle states and on the shores of Lake Michigan, Chicago makes a great weekend city break. 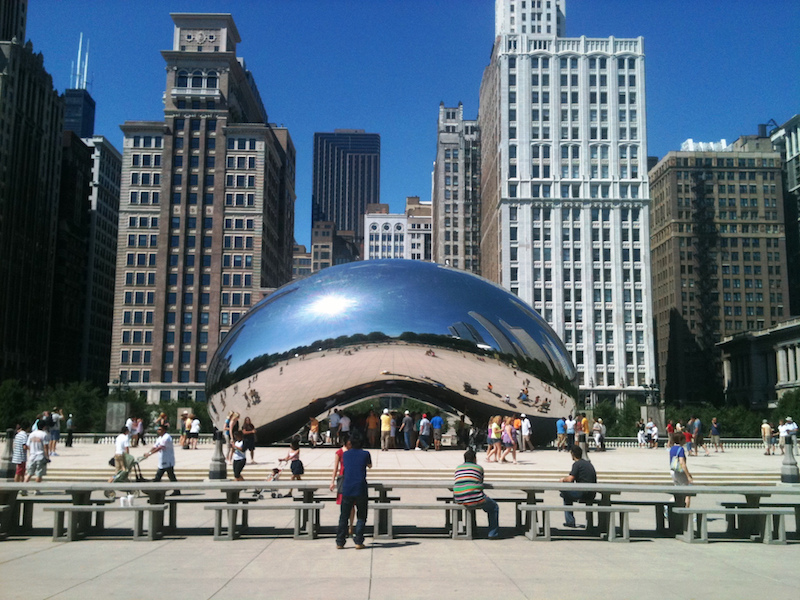 Take in all of the sights like the city’s famous Bean sculpture in Millennium Park, as well as great shopping and top-notch dining options. If the Cubs are at home, it would be a sin to the miss game day atmosphere of Wrigleyville or, better yet, snag a bleacher seat at the world famous Wrigley Field. STAY Wrigleyville has undergone enormous transformation of late including the opening of the new Hotel Zachary which is across the street from the park and features several top-notch eateries including Big Star, Dutch & Doc’s and Mordecai. Step back in time to the days of the pioneers in the tiny town of Medora. Located at the gates of Theodore Roosevelt National Park, Medora is the perfect place for a hidden gem summer getaway. The town’s main road is filled with old-time wooden shop fronts. Don’t miss Pitchfork Steak Fondue, in which steaks are hoisted onto pitchforks and then fondued Western style—they’re actually pretty darn good! 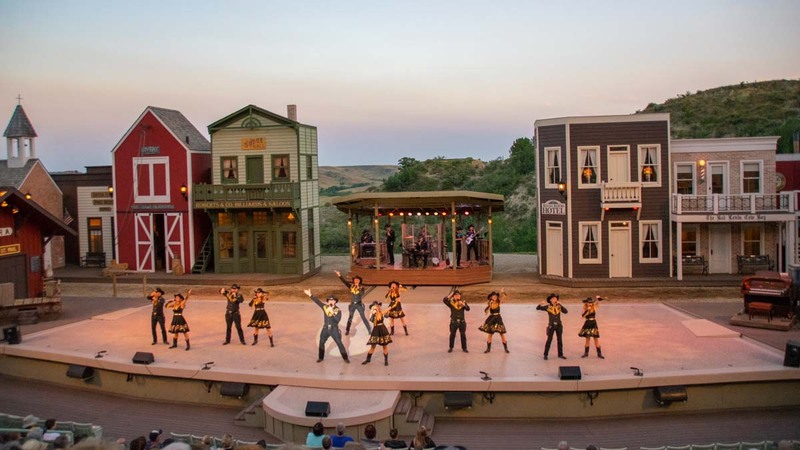 The show to follow is arguably better, and they are both a must if you are visiting Medora this summer. STAY A great base for exploring Theodore Roosevelt National Park, the 77-room AmericInn by Wyndham offers free Wi-Fi and breakfast, plus an indoor pool. The second largest city in the “Show Me State” unsurprisingly has a lot to offer. 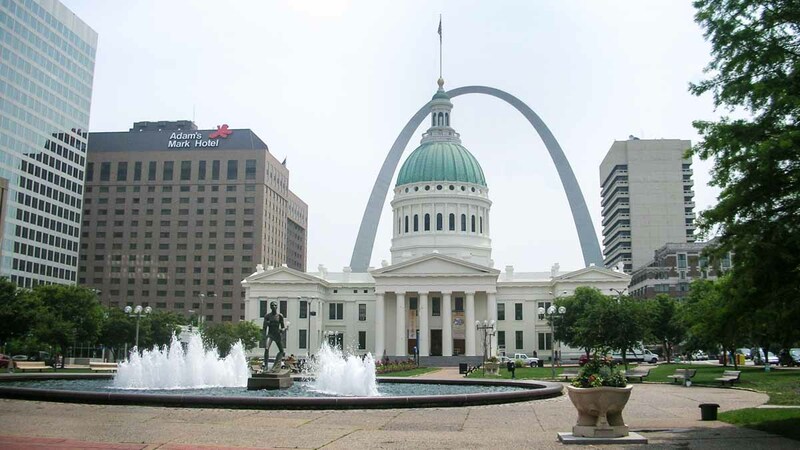 Much more than a big steel arch, St. Louis is another Midwestern metropolis with a lot of fun and quirky neighborhoods to explore like Soulard and the Central West End. If you’re in town when the Cardinals are playing, definitely make your way to Busch Stadium located in the heart of downtown. 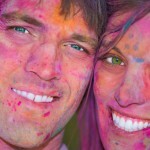 STAY A bright and cheerful boutique option, the Magnolia Hotel offers and unbeatable location that won’t break the bank.